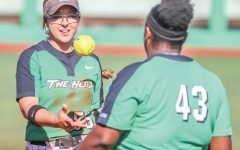 The Marshall women’s softball team remains undefeated at Dot Hicks Field after going 4-0 against Ohio and Rider. 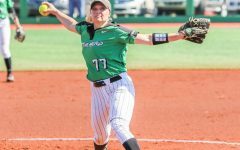 The Herd (14-5, 0-0 C-USA) swept all three games in its series against the Broncs (0-9, 0-0 MAAC), closing the series with a 10-2 win in five innings Sunday. 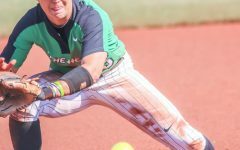 In the final matchup of the series, the game was scoreless until Marshall scored five runs in the second inning. 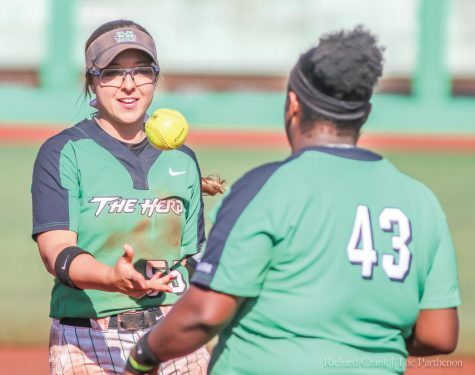 Senior infielder Briana Daiss hit a double and junior infielder Blakely Burch hit a triple to send junior infielder Sierra Huerta and Daiss to home plate to give the Herd an early 2-0 lead. 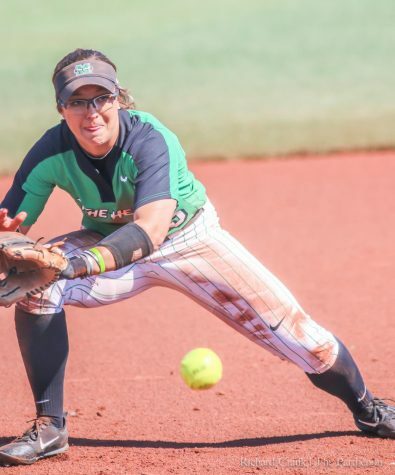 Following that, senior outfielder Hannah Giammarino hit a double and sent freshman outfielder Chloe Lee and Burch home, extending the lead to 4-0. Giammarino scored on a wild pitch to boost Marshall’s lead to 5-0. In the bottom of the third inning, sophomore infielder Armani Brown hit a single, scoring Huerta and Burch for 2 RBI. Another wild pitch sent Giammarino home for the Herd, making the lead 8-0 through three innings. 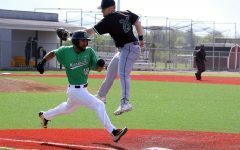 At the top of the fourth, the Broncs answered against the Herd’s defense as it scored a pair of runs. 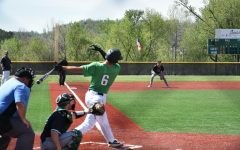 The Herd answered back to the Broncs’ defense as Burch hit a double to send senior center Hayden Ellis home. 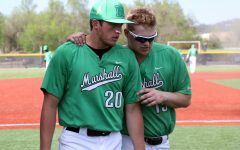 Marshall went up 9-2 at the bottom of the fourth inning. 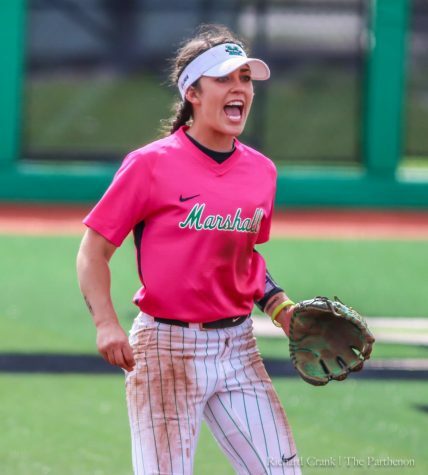 Marshall closed out the game in five innings when sophomore infielder Aly Harrell hit a double to the outfield to send Giammarino to home plate. 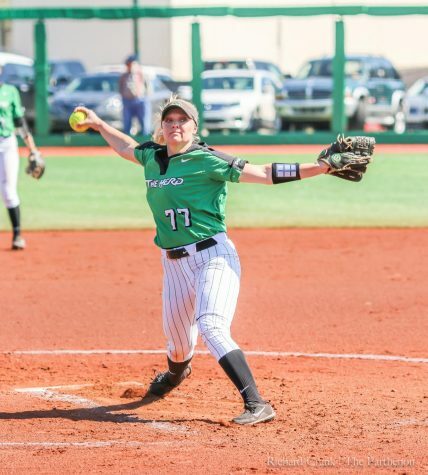 Senior pitcher Abigail Tolbert’s record improved to 9-4 on the season. Tolbert said that she praises Huerta and Burch for their effort on defense. Smith said that she was proud of Tolbert’s pitching during the game despite the weather outcome. 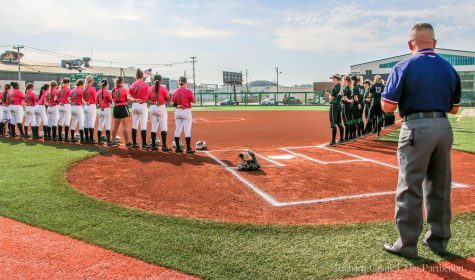 The Herd will travel to Morehead, Kentucky, to take on the Morehead State Eagles in a doubleheader on Wednesday with the first pitch set for 1 p.m. at University Field.